Your divorce is a personal matter and deserves to be put in the hands of someone you trust. Read what others had to say about their experience working with Wayne Dawkins Lawyers and get a better idea of how we might be able to help you. Wayne identifies with people well. He has a big heart and an intelligent mind, and seems to be forever learning new facets of his business. I needed Wayne’s expertise personally when my marriage sadly fell apart. What was a maze of paperwork and emotions, became a clear path once in the hands of Wayne. It was such a relief. I am so impressed with his work, his life journey and outlook and I have no hesitation in recommending Wayne. Collaborative Practice as a Perfect Alternative if it suits your personal circumstances. 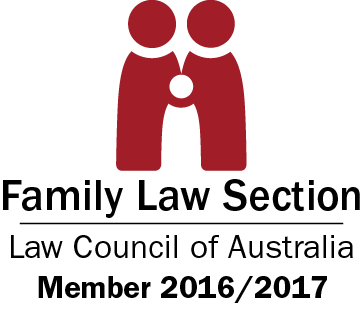 I was first made aware of Collaborative WA when seeking the professional services of a Perth Family Court Lawyer. After investigating the offer and discussing with the family it stacked up as a perfect alternative. Once we started the ball rolling we all met in a neutral office and we were given a panel of industry experts to choose our personal representation from. All areas were clearly explained, law, financial, planning and even emotional support. Both parties were given personal independent professional service under the benefit of a fixed sum outlay, that would have been a fraction of the price involved if we both sort independent council. The process was well explained and very well communicated the collaborative meetings were well run with attention to detail and sensitivity a premium. This approach to family separation may not be for everyone but I highly recommend that you do some homework and see if it suits your personal circumstances. The process is seamless and does not waste time in fact you are given a timeline of events. Wayne is extremely professional and knowledgeable. Very grateful for the help received. I cannot thank Wayne enough for assisting me in the mine field of family law. Thank you Wayne, you alleviated a tremendous amount of stress from me. Everything happened just as you said it would and from a lost cause we got more than we could ever have hoped for. We have already recommended you to a few people and put your name up on a facebook page for Scots in WA who were asking for a good lawyer. We started our case with a different firm but had a few problems and was given Wayne’s name as a replacement. I wish we had found you first. You put us at ease from the very beginning and always gave the best advice. Everything happened just as you said it would and from a lost cause we got more than we could ever have hoped for. Thank you very much. “I think the collaborative practice is a fantastic process for people going through divorce/separation. It has allowed channels to open up for myself and my ex to be extremely civil to each other now, and we have developed a better relationship for the sake of our children. The children’s father has now moved closer—which makes everything easier—and the children love having their weekends with him. He drops in whenever he wants and visa versa and I’m ok with it. The anger towards him I once felt has disappeared and we can laugh and talk like normal human beings. He is a happier person and I’m happy for him. Myself, I’m just waiting for next year to begin and have plenty of rewarding challenges coming my way. Am I happy? Yes. The children love seeing their parents get on well, and no longer do they feel like they can’t tell me things, which is such a good relief. I’m sure we will come up against other issues down the track; however, it will always be in relation to our children and how we as parents guide them. As long as we continue to communicate in a civil way and show our children how much they are loved by the both of us, we are going to have the two most stable, loving children. An outcome that I thought impossible…However, with the guidance and support of the collaborative professionals I’m grateful we decided to do this, for the results have enhanced our lives in so many ways. With your invaluable guidance, my position has gone from barely able to see my 3 children to having them live with me full time. I would like to take this opportunity to personally thank you for all the time and effort you have put into my Family Court matter. Over the last three years, with your invaluable guidance, my position has gone from barely able to see my 3 children to having them live with me full time. This has given me the chance to provide the loving, stable home that is so important to any young person. Along the way I have had many accusations leveled at me. You have always been there to defend me and I thank you for that. You have also always acted in the best interests of my children and that means a lot to me. I owe you more than I can ever put into words. Without your help I shudder to think of the situation that would face my family by now. I would not hesitate to recommend your firm’s services to anybody requiring legal advice. Wayne was able to orchestrate the entire legal battle which was a huge relief to me and he was able to reach a very fair and acceptable offer from the other party with out going to court thus saving me thousands of dollars. At a very frustrating, frightening and challenging time in my life and facing the very real prospect of loosing everything I was pointed in the direction of Wayne Dawkins lawyers by a very good friend and thank god I was ! I had tried a lawyer previously and very quickly found out that I wasn’t going to be able to fund their representation and I felt helpless and quite alone. After just one meeting with Wayne I could feel the pressure lift off my shoulders as there was finally some who sat there and listened to me, got a handle on my situation and was able to set out a plan of action that fitted my ethics and values exactly. Wayne was more interested in a fair result for “me” rather than a great result for “him”. Wayne spelled out exactly what I would be in for if I wasn’t realistic and was able to keep me focused on what the real issues were and not let my emotions rule my decision making. Wayne was able to orchestrate the entire legal battle which was a huge relief to me and he was able to reach a very fair and acceptable offer from the other party with out going to court thus saving me thousands of dollars. I will be forever grateful to Wayne and are extremely satisfied with all the work they did on my behalf. I also couldn’t be happier with the result Wayne was able to achieve. After being offered a ridiculous sum of money by the other party, Wayne was able to bring that up to a fair amount that was acceptable to both parties. The cost involved for this to take place was way more acceptable than I had previously experienced with other firms. And that was important to me as my income is quite moderate. I found Wayne’s rates to be very acceptable for the outstanding service he and his team at Wayne Dawkins lawyer provide. I would also like to thank Matt Keating for all the fantastic work he put in. Matt made the process very smooth and kept me up to date at all time. Thank you Matt. Thank you as well to Teresa Berry. Every time I called their office I would get a very friendly voice that just makes it all the easier in a very difficult time.